Things you’ll want to think about include whether the venue suits your theme or immediately provides you with one because of its architecture, grounds or decoration. If having exclusive use of the property is important to you ask about this and if there are rooms, check whether there are special rates for your party and whether they will allow non-wedding guests to stay during your celebrations. Find out what the fee covers, what equipment is provided and what will you need to hire. Some venues include table menus and plans in their fees which saves costs on your other stationery. Will they dress the room or do you? Are candles allowed; some stately homes won’t allow them. Do they have in-house catering or a list of recommended caterers? Can you supply your own alcohol and is there a corkage charge? Do you need to hire sound/lighting equipment? How late can the evening reception go on until and are there noise ordinances that mean a band has to stop or a party move indoors from a certain time? Are you looking for a different and personalised location for your wedding? We offer many different options for events or weddings of any size. Please contact us to find out more information. our perfect venue is overlooking the sea , but perhaps in a garden rather than on the beach. we have approx 60 guests and our budget is around 7000-8000 including the entertainment ect. can you please let us know if can suggest any venues? 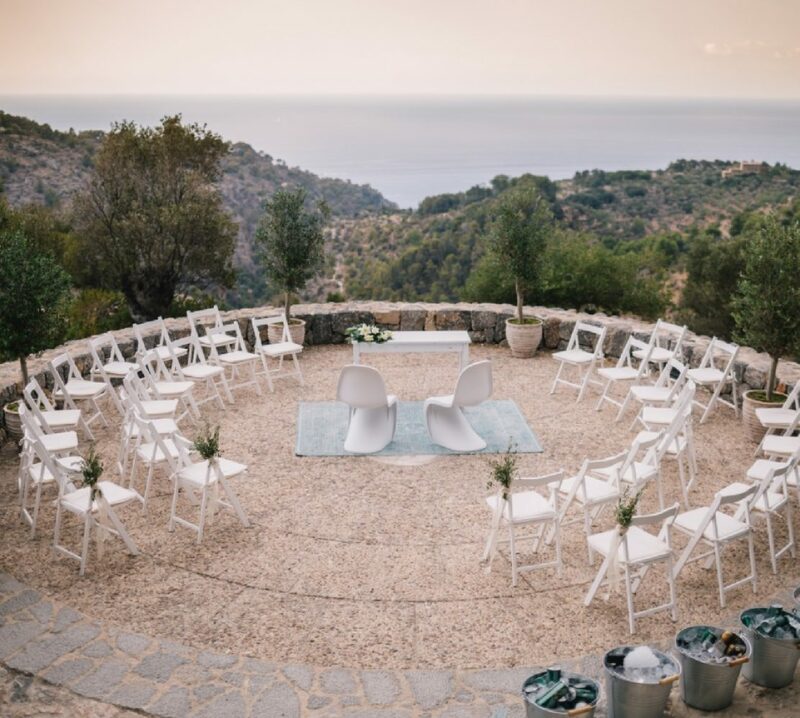 Hello, Mallorca is one of the top weddings locations for me and my partner. I was wondering how do I start the process as I live in the UK? My fiancé and I, would love a beautiful white sandy beach ceremony and then a venue for the reception near the water with a beautiful of the sea. Please could you help us find our perfect place for the wedding of our dreams.